Canadian poker reporter and television host Kara Scott has penned a deal to become the latest ambassador for 888poker. Alberta-born Scott boasts $643,880 in live tournament winnings and has joined an all-star cast that already includes Dominik Nitsche, Sofia Lovgren and Nicolau Villa-Lobos in agreeing to represent the online poker domain. 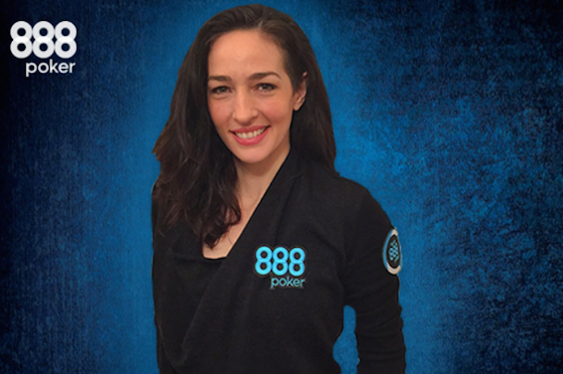 “I’ve long been impressed with 888poker’s focus on providing a great player experience,” said Scott, who has continually described herself as a poker enthusiast rather than a professional player. Forty-year-old Scott is perhaps best known for presenting the Sky Poker programme from broadcaster Sky but has also fronted the World Series Of Poker (WSOP) show for ESPN while serving as the face of the GSN’s High Stakes Poker series. This career has seen her nominated for the Poker Presenter Of The Year accolade as part of this year’s American Poker Awards, which is set to be held tomorrow from the SLS Hotel in Beverly Hills, California, while she is additionally working as the official draft commissioner for the Global Poker League (GPL). To celebrate its latest addition, 888poker will be holding the special no-password-required $3,000 guaranteed Welcome Kara Scott Free Tournament on Monday from 2:05pm New York time offering players a $100 prize if they can eliminate Scott.